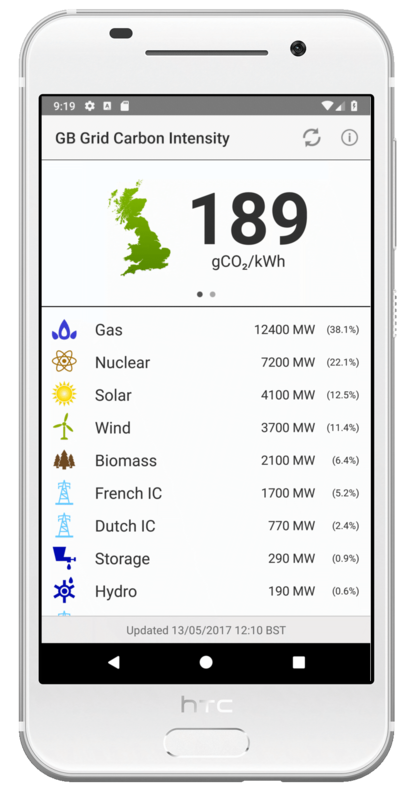 Track the carbon intensity of the GB electricity grid on your smartphone or tablet. 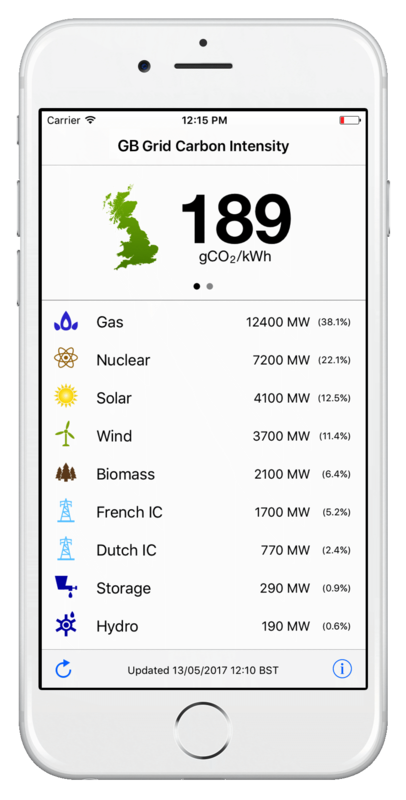 GridCarbon is available for iOS and Android devices. GridCarbon presents a summary of the generation mix data broken down into major categories of fuel type and various interconnectors. This data is converted into a grid carbon intensity value by weighting each generation type by its contribution to total generation and by its individual carbon intensity. See our paper describing the full methodology. GridCarbon is maintained by Prof. Alex Rogers at the University of Oxford (iOS) and Dr. Oliver Parson (Android). To provide feedback, report bugs or request new features, please contact them at oliparson@gmail.com and alex.rogers@cs.ox.ac.uk. For news about updates and new features, please follow @GridCarbon.